Eagle Foundry has over 8000 patterns for many makes and models of vertical and horizontal shaft impact crushers, asphalt plants and sand and gravel washers. Located only 35 miles from Portland, Oregon, our onsite storage, loading docks and weigh stations allow us to expedite your order efficiently. 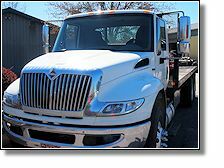 With our nationwide network of professional freight carriers, Eagle Foundry can deliver your order in a timely manner and in excellent condition. Our facility also accommodates other preferred freight carriers of your choice. 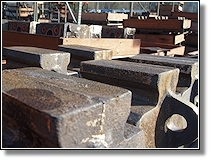 Eagle Foundry’s knowledgeable sales department will assist with selecting the correct product to fit your application. For sales related questions, please call us a (503) 637-3048 or send an email message to: sales@eaglefoundryco.com.